77 Amazing Youth Group / Young Life Meeting Plans with FULL details. See below to receive them. Bible studies that focus on Jesus rather than behavior modification. Sadly, my 20+ years of youth ministry has observed efforts and so much energy aimed at trying to change kids from the outside-in; this is backwards. Start by introducing young people to Jesus and let the change happen from the inside-out! For inside-out Bible studies CLICK HERE. I’ll keep this short and sweet. 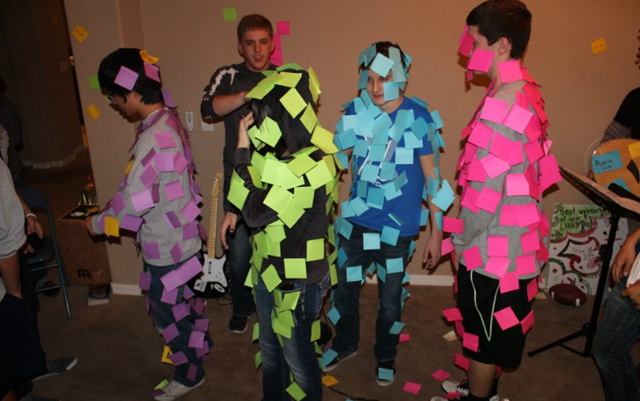 Post It Note club will stick with the kids for a long time. If you got the pun in there then you would probably like most of my jokes because they are almost all like that, really punny. But seriously, this is a simple club, lots of fun, easy to plan. The skit takes some work, but we showed the original video (see the document) after the skit (but watch out for a stray word or two) and they laughed a lot then too.